Camp Retreat started as an open pole barn on a functioning farm. 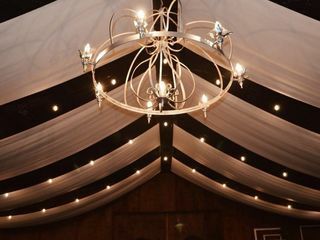 It served as a place for our family to gather for events and weddings. 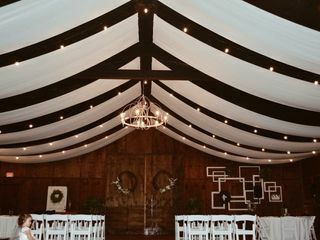 Along the way, we decided to transform it into a wedding and event venue.We would love to be apart of your special day! Please give us a call + send us a message if you have any questions. For more information + photos go check out our new website!! 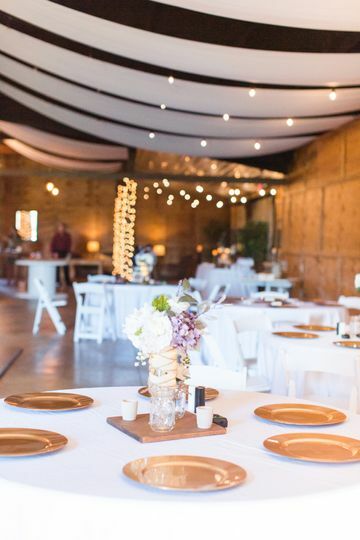 The Barn at Camp Retreat is located on 140 acres of green fields, perfect for a southern wedding. 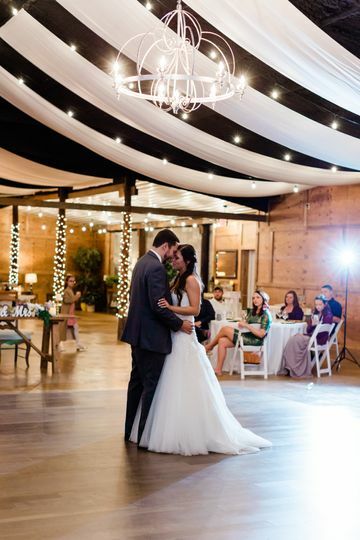 The Barn has high ceilings, a beautiful chandelier, and a dance floor with enough room to comfortably seat up to 200 people. 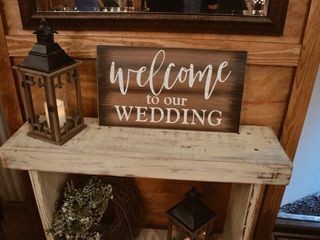 The Barn is newly updated with stained floors, wood-lined interior, new lights and draping (stays up year around), a bigger dance floor, and (best of all) A/C + Heating!! 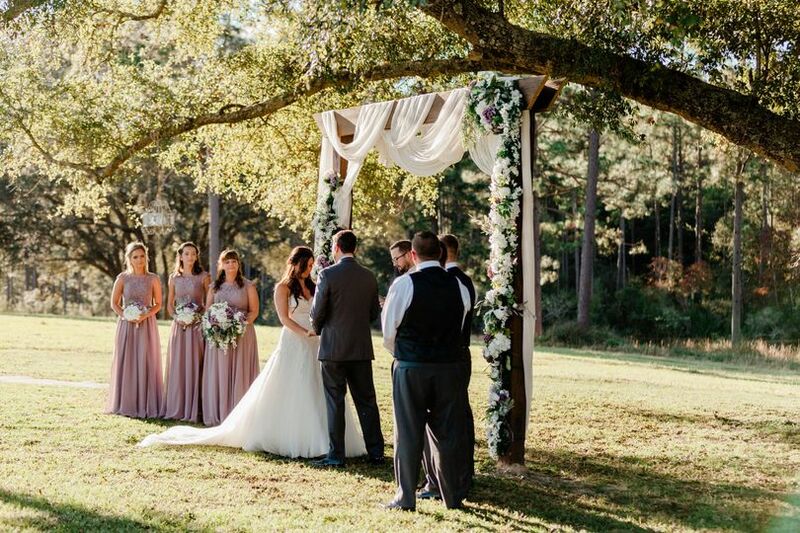 The Ceremony area is located down by a pond with a large tree as your backdrop. 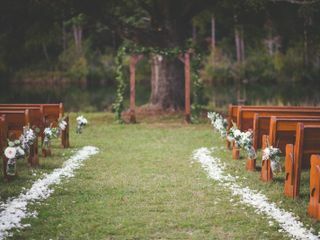 The area is complete with a wedding arbor and charming pews. 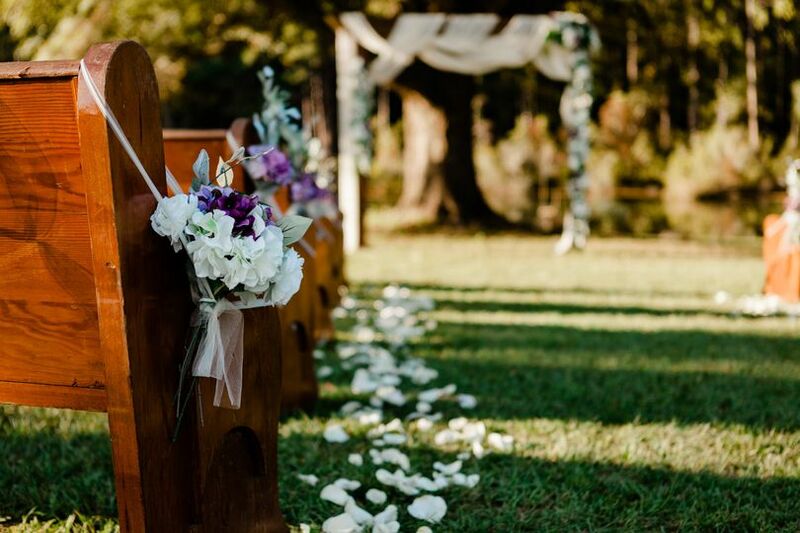 The perfect spot for a southern ceremony. 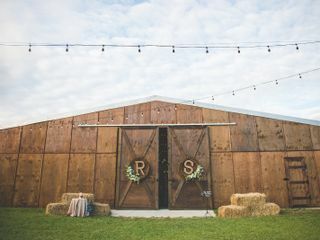 This venue as absolutely amazing for a fall wedding! The views are breath-taking, and you will get gorgeous pictures. 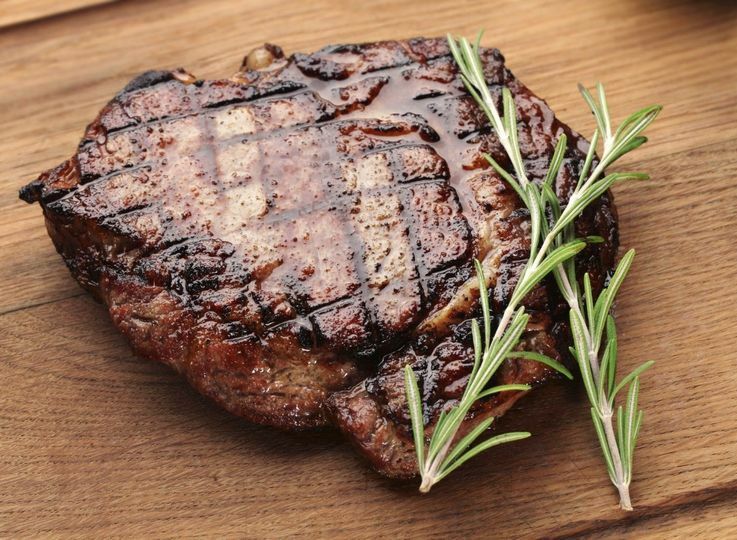 The owners are responsive and helpful every step of the way. 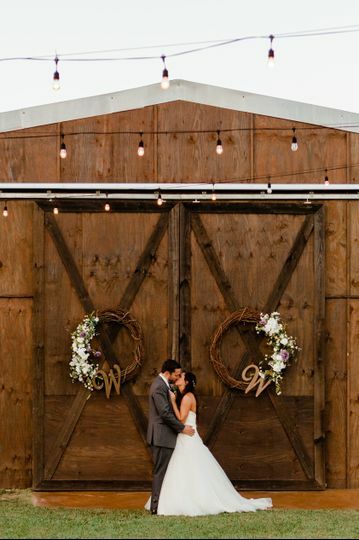 It was the least expensive barn venue we looked at, but it was definitely the best value for a bride on a budget. Go check it out, you won’t be disappointed! Bought my dream to life. Even though it was raining the day of and I couldn’t use the outside part it was still worth it and it was still was so beautiful. 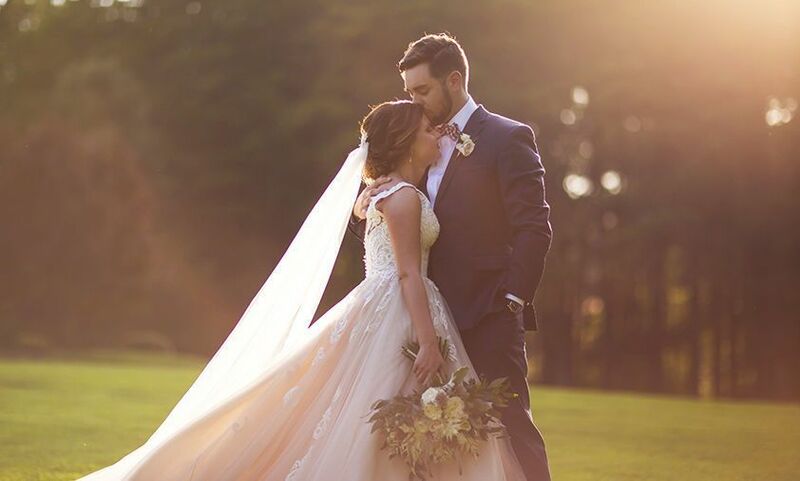 We had an incredibly breathtaking wedding at Camp Retreat.  Jessica was awesome to work with and very accommodating with our needs! We are so glad that we chose this venue. 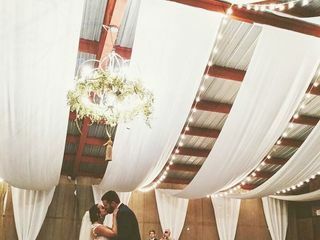 Our day was magical and we have beautiful memories because of this venue! 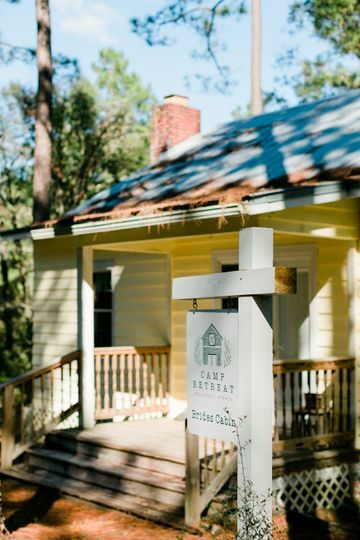 Camp Retreat is one of our favorite little hidden gems in the Panhandle area. The owners are absolutely AMAZING! 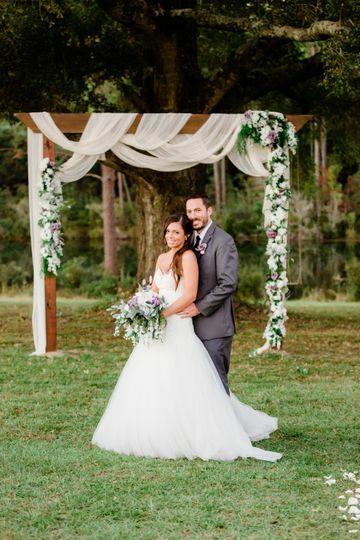 They go above and beyond to accommodate for not only bride&apos;s, but anyone that steps foot on their gorgeous property. 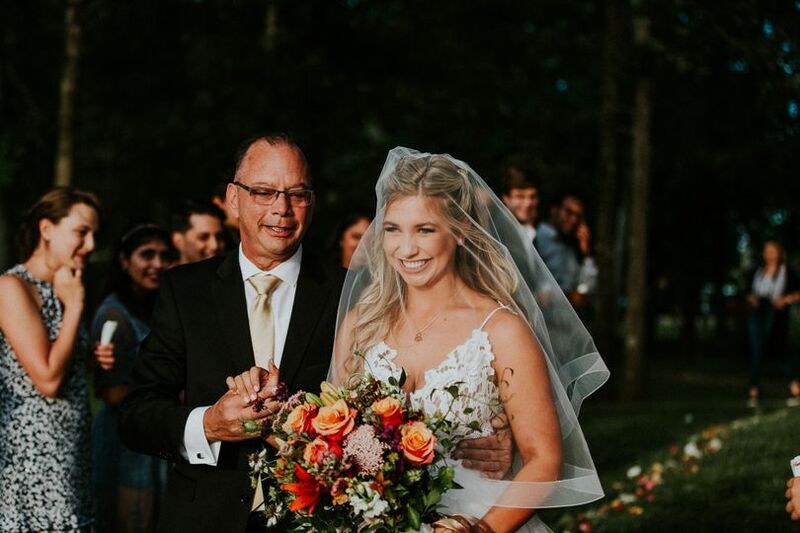 We have had the pleasure of being a part of several weddings, parties, and events at Camp Retreat, + there is truly nothing that compares to it in the Panhandle area. 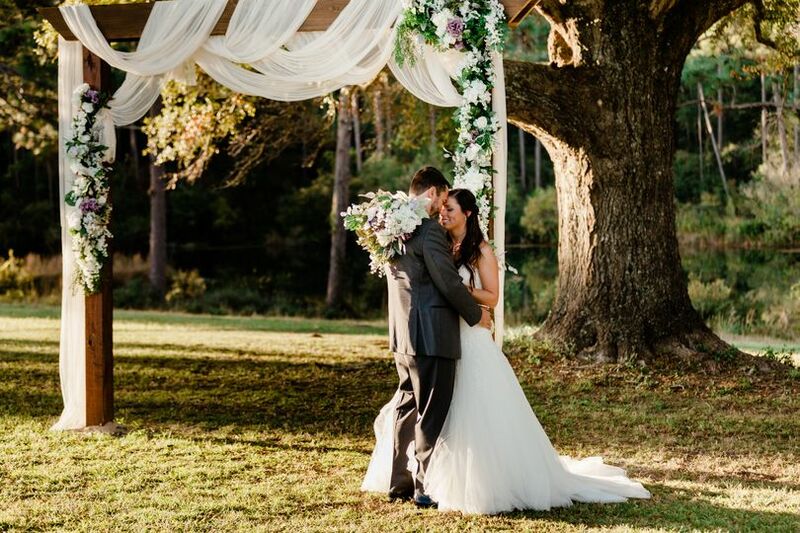 Rolling hills, big oak trees, ponds, and TONS of southern charm. 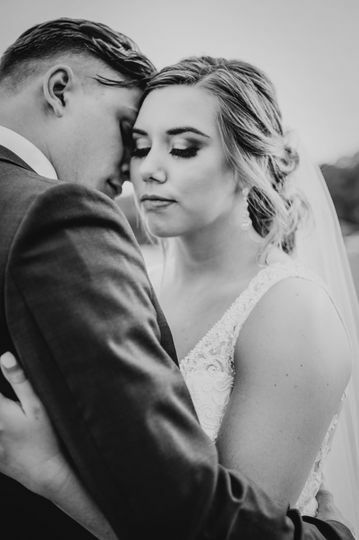 Book with them... you won&apos;t regret it! Very nice venue for a wedding! Fantastic location! 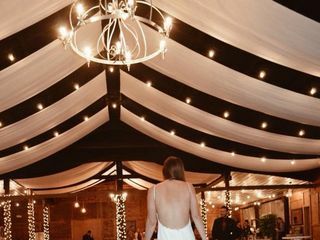 Southern bohemian vibes and such a unique space! We love everything about this place. 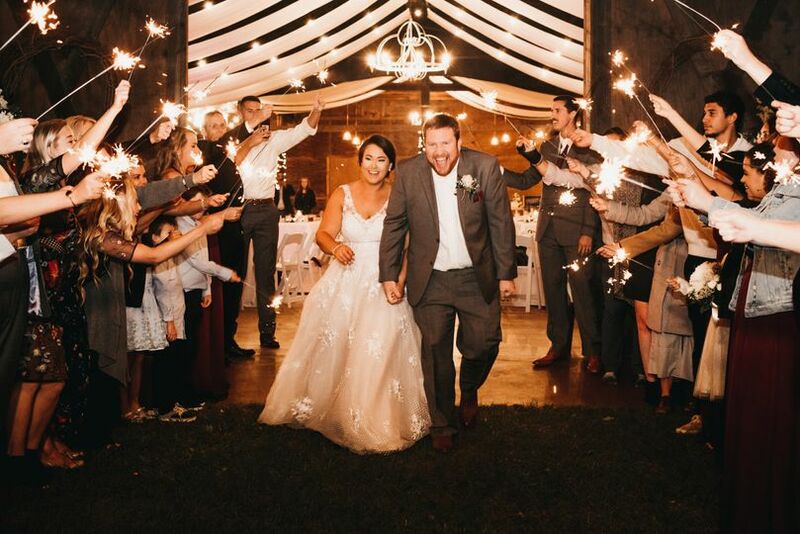 Wonderful people and the setting of your dreams.